RARE ORIGINAL VINTAGE IN UNUSED CONDITION ON ORIGINAL CARD. 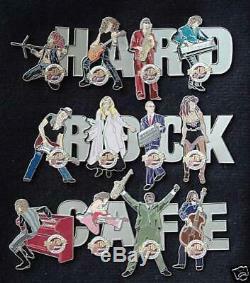 12 X FAMOUS MUSICIANS SPELLING OUT H A R D R O C K C A F E.
SLASH, TINA TURNER, ELO AND MANY MORE. 12 X PIN BADGES COMPLETE SET. We are here to help. 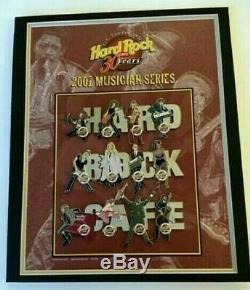 The item "RARE Original Vintage Hard Rock Cafe BELFAST (Closed) MUSICIANS Pin Badge Set LE" is in sale since Sunday, February 24, 2019. This item is in the category "Collectables\Badges & Patches\Collectable Badges\Club & Association Badges\Hard Rock Café Badges". The seller is "staffyboy_123" and is located in Essex. This item can be shipped worldwide.